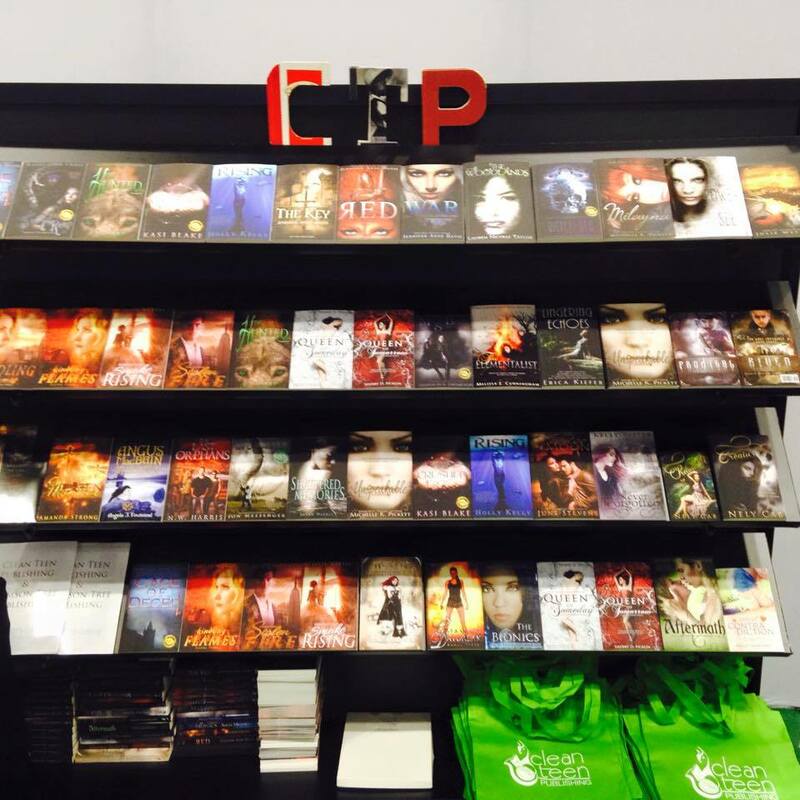 About a week ago, my publisher—Clean Teen Publishing—went to Book Expo of America (#BEA15) to share our novels with the world. Awesome, right? I almost jumped out of my computer chair at the sight (and I rarely leave that chair, considering I’m a writer ::wink::) After that, I basically stalked their LIVE pictures all afternoon and wished I were there . . . which brings me to what I want to talk about. Here is Clean Teen Publishing at BEA15! Why do I want to travel as an author more? Well, I mainly want to have the opportunity to meet more readers face to face. I want to shake their hand, hug them, take an Instagram photo with them, sign their book, give them a cookie, etc. Anything really. This is about to get crazy, and it’s a little embarrassing to admit, but I think one of my biggest dreams is traveling as an author but always meeting a random reader (out of a lottery of readers in that city) for coffee. This means that if I meet my goal of traveling more by next summer, you should look out, because I am going to meet SOMEONE for coffee. That is a promise. Sure, a lot of authors want to hit those bestseller lists or have movies made out of their books, but I don’t think those are on my goals. (Not that I’d complain if it happened.) But I think most of my goals revolve around giving out more gifts to readers and meeting more readers (and meeting more writers). I dream of flying to Australia to meet one of my super fans who’s begged me to come out there. I dream of flying my readers out to a major Comic Con they’ve been wanting to go to. I dream of involving readers in my writing process. (And in fact, I think a beta reading opportunity might be coming up soon, so look out for that.) I dream of meeting them, and I think it’s because I am a reader—just as much as I am a writer—and meeting my favorite authors are some of the highlights of my life. Traveling more might help that happen! This isn’t a promise or manifesto by any means. I’m just a girl with a dream, trying to make it happen every day, and talking about it out of curiosity more than anything else (and a tad bit of embarrassment ::blush::). My other author goals include sitting on a panel at a literary festival, attending a Comic Con as an author, collaborating on a novel (specifically like Holly Black did with Cassandra Clare, when your characters appear in one another’s novels but don’t’ necessarily affect the story, not the actual collaboration novel they did), teaching a writer seminar for young writers, and seeing a book translated into another language. (The other language dream stems from the fact that I love languages, and I have a deep appreciate for language, especially after studying Italian in college at a fluent level.) And . . . I probably have so many more but those are the ones that came to mind today. What are your author goals? And if you’re not a writer, what are your reading goals? (For instance, I want to meet Meg Cabot and Ally Carter. I want to meet them SO bad.) Let’s talk about your goals! 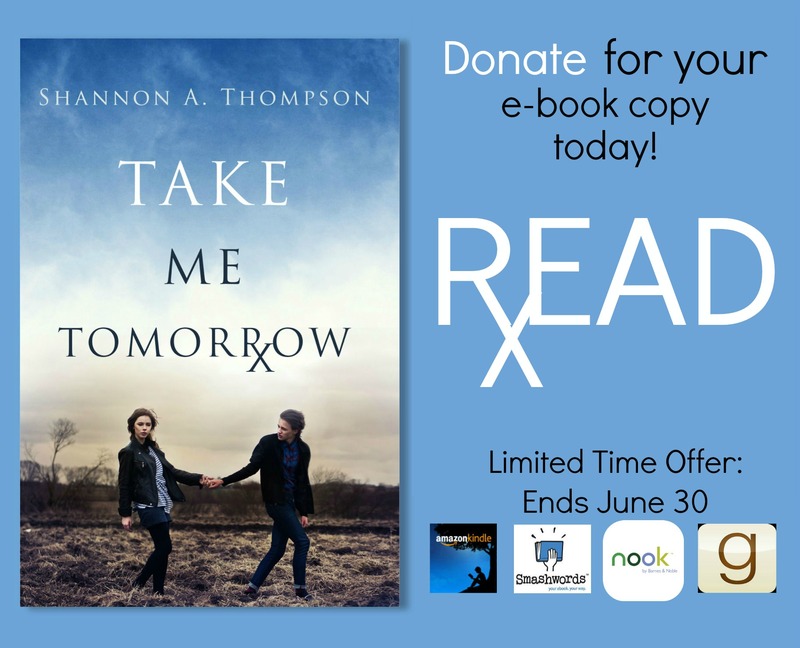 We’re coming up on one year since Take Me Tomorrow released, but this YA dystopian novel was only available for a few months. Recently, I’ve received a lot of messages about how to get ahold of a copy, and now you can! By donating to www.ShannonAThompson.com, you will receive an eBook as well as a permanent website slot on the donations page. All the proceeds will go toward book events later this year and next year, so we can finally meet in person. (Think UtopYA.) Once you donate, you can expect an email from shannonathompson@aol.com within 24 hours!